Researchers have discovered another possible link between oral health and the rest of the body—this time between gum disease and prostatitis, inflammation of the prostate gland that impacts 8 percent of the population. 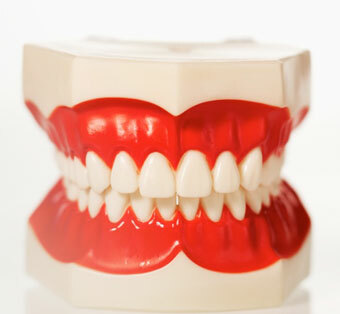 Researchers from Case Western Reserve University School of Dental Medicine and University Hospitals Case Medical Center compared two markers in patients with prostatitis: the prostate-specific antigen (PSA) used to measure inflammation levels in prostate disease, and the clinical attachment level (CAL) of the gums and teeth, which can be an indicator for periodontitis. Researchers found that subjects with both high CAL levels and moderate to severe prostatitis have higher levels of PSA or inflammation, according to Nabil Bissada, chair of the department of periodontics in the dental school. Bissada adds that this might explain cases where high PSA levels in prostatitis patients can"t be explained by what is happening in the prostate gland itself, meaning something else is causing the inflammatory reaction. Participants were selected from patients at the University Hospitals Case Medical Center with mild to severe prostatitis, and in some cases, malignancies. The participants were divided into two groups-those with high PSA levels for moderate or severe prostatitis or a malignancy and those with levels of PSA below 4 ng/ml-a level associated with healthy prostate glands. All had not had dental work done for at least three months and were given an examination to measure gum health. Researchers found that those with the most severe form of prostatitis also showed signs of periodontitis. The researchers discuss the results in the Journal of Periodontology, the official journal of the American Academy of Periodontology. Other authors include Nishant Joshi, Sena Narendran, Rick Jurevic and Robert Skillicorn from the dental school; and Donald Bodner and Gregory T. MacLennon from University Hospitals Case Medical Center.